There are 6,074 Esprits with Citroen C35 transaxle, (inboard disc brakes). Lotus 910 engine can be easily modified to deliver 300+ BHP, but the transmission is the weak link. C35 (Citroen SM) Gear Box was used on all Lotus Esprit models from 1975 to 1988. C-35 gear box was designed for a normally aspirated car producing a maximum of 170 ft lbs of torque. The HCI Esprits made 220 ft lbs before bumping the boost. 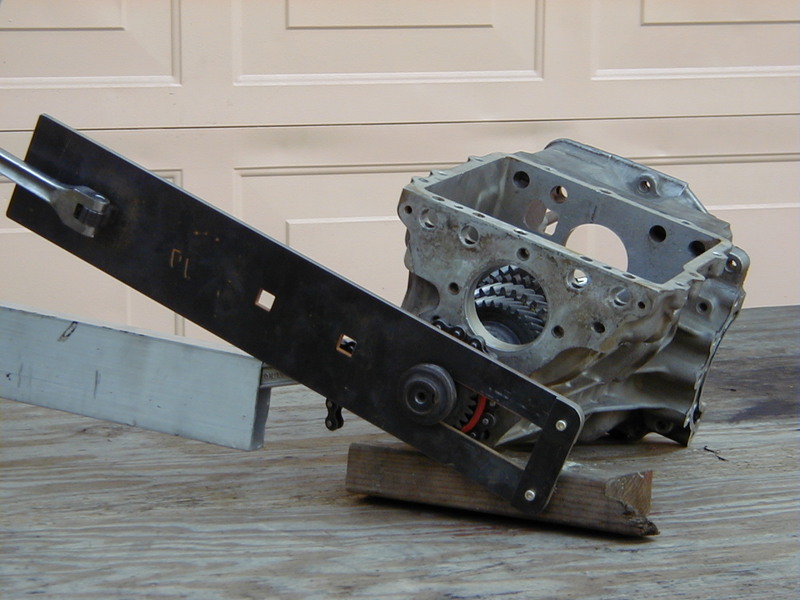 The C35 gearboxes came in an early version and a late version. S3 car has the late version, the one on Craig list is the early version. It probably came out a Citroen; the gear change isn't on the (RH) correct side; the rear cover appears different (the early boxes used smaller studs), it has a different bell housing and appears to have different output shaft housings and who know what ratios it contains. The problem with the transaxle is that it was never designed to handle the power of the Turbo 910. Lotus first used it in the 160 Hp 907/ 912 powered Esprits, and that was a good match. But when they stepped up to the 910, they took the Citroen beyond its original design intent. They made some changes to the Turbo version of the gearbox that were supposed to strengthen it, but it was make-up on a plain girl... she was still of humble origins. If you're contemplating hot-rodding your engine, then you need to understand that your limiter is going to be the gearbox. Most people have a household budget, and must live within that budget. Well, here you have a power budget, and you can't just spend beyond it its limits like a kid in a candy store. It would be nice if the Crown Wheel & Pinion (CWP) were stronger, but there are no practical high performance options on the market. If you avoid dumping the clutch in the Stoplight Grand Prix, make rolling starts, and don't slam-shift thru the gears, then the Citroen transaxle is perfectly up to the stock 910. Looking at all the internet pics the drive side should be on the more vertical side of the crown wheel where the other side with the slope, coast, is supporting the load!! The Esprit is on the other side! Thinking about how the Citroen box is installed, on SM, it is actually in front of the engine which makes the CWP design correct for driving the car forwards. Lotus have the box going backwards!! I am not surprised that the CWP is always failing, they have the wrong design!!! The pinion is always trying to "escape", i.e. climb up the slope side of the crown wheel! The more vertical side has to the drive side! Geometry is all wrong! suspension/ AP Racing brakes under it. Short of that, you have a restrictive power budget limiting your wildest dreams. The one modification to the Citroen that I do believe is worthwhile is to retain the spring loaded input shaft more securely. Both Harry Martens and JAE offer a more robust snap ring to replace the weak little wire circlip. That alone will make a big difference. And/or, if you ever have the need to replace the input shaft, they also have replacement shafts with a shoulder for the snap ring to bear against instead of the taper. There are no hot-rod internal parts options for the gearbox... not like the Holloway conversion for the Renault transaxle. If there were, then the next weak point would be the gearbox housing... it flexes at high power. Even if the gears & shafts could take it, the housing might not. All of which goes back to the original point that the Citroen transaxle was never designed to cope with the power a hotrod 910 can put out. In normal use, the 1-2 synchros take a beating because they generally get used more often and harder. 5th synchros wear because there's a big step between 4th & 5th, and the synchro is asked to do a lot of work with each shift (apply pressure, don't rush it). Replace the synchros whenever you're in there just to keep them fresh, but there isn't an optional Porsche-style synchro system available. It's typical of how French transmissions shift... "They all do that, sir". The later Renault UN1 and the old Europa Renault transaxles are all the same. It is what it is. "Why does my transaxle grind when I shift gears?" Usually, it comes out in further conversation that the owner wants to shift FASTER. Well, maybe it is possible the synchros are actually old and worn out. But more often than not, it's because somebody is playing boy-racer, and trying to speed-shift baulk-ring synchros that, by design, don't like fast... and without having a clue how to match rpm-s. Slow down and shift the way the Citroen (Renault) is supposed to be shifted, or learn how to drive. But don't be blaming or flogging the gearbox. BTW, of the two Esprit transaxles, the Citroen responds better to rpm matching than the UN1... or Europa. I can shift up and down from 1st thru 4th without the clutch, but 5th is a little more challenging. The Europas I've owned would never put up with that, and the Esprit Renault UN1 doesn't like it either. I'm not recommending shifting without the clutch, just suggesting that the Citroen's synchros do appreciate a little help from a driver who knows how to match rpms, and it would be a good thing for you to learn... as opposed to "fixing" the gearbox. Harry Martens and JAE both offer (do... did... ??) a Quaife limited slip differential for the Citroen. The claim is that it's the solution for handling more power. Of course, the limited slip will help put the added power to the road. But I get lost in the claims I thought I heard about it protecting other internal parts, like the CWP. That's where I get lost. If the power goes to one wheel, and the one tire breaks traction and spins, that's your safety valve. Loss of traction at one wheel happens at a torque level the CWP can handle, and adding more power after that just spins the tire faster without putting more power to the road. If you install a limited slip differential, then power goes to both rear wheels pretty much equally. Both rear tires are sharing the load, and it takes a lot more torque to break loose and spin two tires instead of one. That puts more load on the CWP, not less. I believe the premise of the claims is that if the one driving wheel hits a slick spot on the road and spins-up, then gets good rip on a clean spot (sandy to clean, or wet to dry), then all the spinning energy slams into the CWP when the tires finally bite. That shock-energy is what kills the CWP, and the limited slip prevents (well, minimizes) the possibility of wildly spinning the tires with stock power. However, adding lots of horsepower can then spin both rear tires together pretty much at will. Then when both tires do bite, there will be even more violent inertia slamming into the CWP. The stock CWP didn't get any stronger when the limited slip diff was installed, it can only support so much torque and shock, and shock loads will strip off teeth. That gets us back to the repeating theme of all this... the Citroen transaxle was never originally designed to deal with the 910's power potential, there are no aftermarket hotrod parts available for it, and you need to deal with that. Or trade up to an SE. When I bought my S1, the gearbox, along with pretty much the whole car, was completely disassembled, but all there. The 2nd gear synchros were shot as was the input shaft, the ring & pinion and a couple of bearings (the bearings were destroyed due to pieces, chunks really, of the ring gear teeth having gone through them). The P.O. was apparently not too good with a manual transmission! I sourced the replacement parts from JAE (circlip and crankshaft pilot bearing), ring & pinion (used Citroen pieces from Harry Martens), SM World - Jerry Hathaway (bearings & synchros) and from some fellow owners (input shaft). The source of the input shaft issue was resolved with a new used shaft and installation of a quality ball bearing in place of the sintered bronze S1 OEM crankshaft pilot bearing. The OEM Polish bearings are holding up just fine and there is no untoward noise or behavior. The used ring & pinion are also doing just fine as well. Remember that the gearbox in the FWD Citroen rotates in the opposite direction so the ring & pinion wear surfaces are virgin when installed in the Esprit. The biggest hassle when rebuilding the box is removing / installing the speedo drive gear in the 5th gear case. I made a tool for this task and it made the whole job (gearbox assembly) a one person single day affair. Crown wheel and pinion are made of special hardened steel and are matching pair with numbers. They come in several ratios. The weak points of C35 are: CW low durability/quality carrier bearings, too high final gear ratio (4.375:1), and the fact that it runs "backwards". Originally, Citroen C35 gearbox (used on ‘70s and ‘80s Maserati and Lotus Esprit), was designed to run in the opposite direction on Citroen DS and SM. For Lotus/Maserati configuration the whole gearbox was "flipped around", and therefore the CWP profile is running "backwards" ! 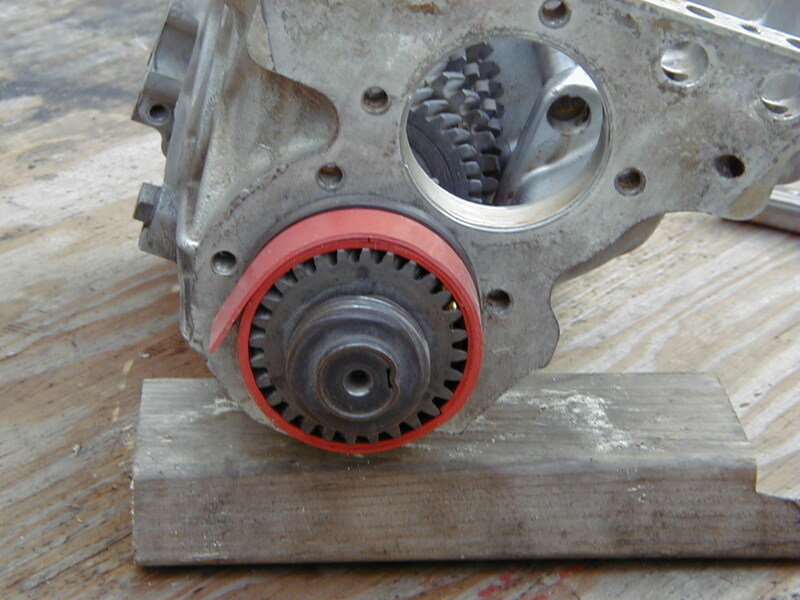 Ideally, the pinion gear should rotate the crown wheel on the drive side of the tooth. If however, the pinion rotates the CW on the coast side, strength of the gear set can be reduced by as much as 20%. Therefore, the Lotus/Maserati CWP is weak in forward drive and its strength is much better in overrun! were able to resolve very elegantly. As it is mentioned on KAM website, in the OEM front axle of a Land Rover, the gear set is running “backwards”, being driven on the coast side of the teeth rather than the driven side and as such is weaker. Reverse cut gears are required in this configuration! There are only a few Specialty Gear companies which have produced reverse rotation gear sets to allow the gears to be driven in the correct way. The "beefed up" CWP with 9/35 (revised) ratio and correct rotation would be a desired fix for 80% of the C35 problems. Cryogenic treatment and and REMS ISF superfinsh would add 20-30% strength. In bevel gears, any off-set of the pinion from the crown wheel centerline is hypoid, and the further off axis the greater the hypoid effect. The Citroen and Renault UN-1 pinions are their crown wheel's centerline axis, so they are technically, spiral bevel gears, not hypoid. snowrx, Seraph and Jenna'sEspritTurbo like this. Last edited by MRDANGERUS; 02-12-2016 at 07:29 PM. Anyone ever priced out the reworked CWP option for a group buy? At one time R&Ps were scarce. Yes, I did RFQ in March 2015. Since then, I tried to "persuade" OEM chaps to provide me with copy of the CWP blueprint. Old blueprint would be useless in this case, but it could have been used for tracing some general dimensions. To no avail, though. I think they probably tossed it decades ago. including cost of reverse engineering, tooling made for the cutters, lappers, tester/proto and production set up, the cost would be $1,800 per set, not including taxes, shipping and insurance. Not expensive, comparing to prices charged by the "usual suspects" for the same "weak" parts. Last edited by MRDANGERUS; 02-11-2016 at 08:24 PM. Standard Citroen C35 CWP ratio of 8/35 (4.375:1) x gear ratio are shown in black. 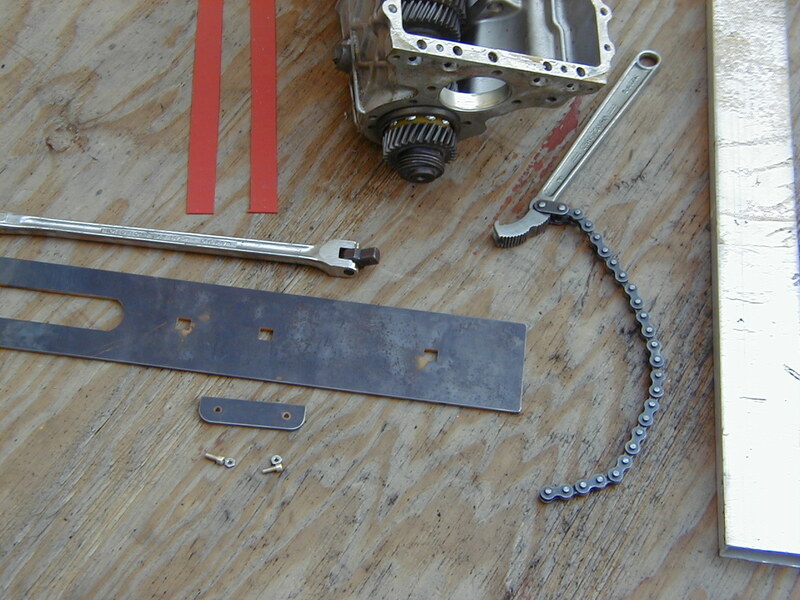 Red shows favorable 1st/2nd gear ratio step of the UN1 upgrade kit. With 9/35 CWP, the C35 could be brought very close to that ratio! Beefed up CWP would open an ample opportunity for all G-car+88 US ET engine upgrades! Last edited by MRDANGERUS; 02-11-2016 at 08:30 PM. The flats on the speedo gear are on the back side and very narrow. The tool makes access easy and in the limited space and, with jaw closure bracket mounted, it keeps the jaws of the tool from spreading when applying loosening or tightening torque, thereby eliminating the probability of rounding off the flats on the gear. When I rebuilt the box on my S1, I sourced several parts from SM World. And a used Citroen CWP from Harry Martens. Both sources were extremely helpful. The used CWP, by virtue of its previous reverse rotation life in a Citroen, was brand new for my purposes. And since I don't dump the clutch from standing stops, the Citroen box has proven fully trouble-free in my hot rodded S1, and likewise, in both of my '84 Turbos. Removal of the starter motor provides clear access to the flywheel and the lock drops right into place. Easy peezy. I just remembered something about the Citroen gearbox that is important to distinguish early Esprit units (S1 & S2) from the later cars: The shift lever on the gearbox (fore/aft lever as opposed to the side/side cross-gate cable actuator) is on the left hand side on the early cars. The S3 and Turbo cars had a new Lotus specific gearbox top cover with the lever relocated to the right side. This moved the shift linkage to the engine intake side and away from the exhaust. 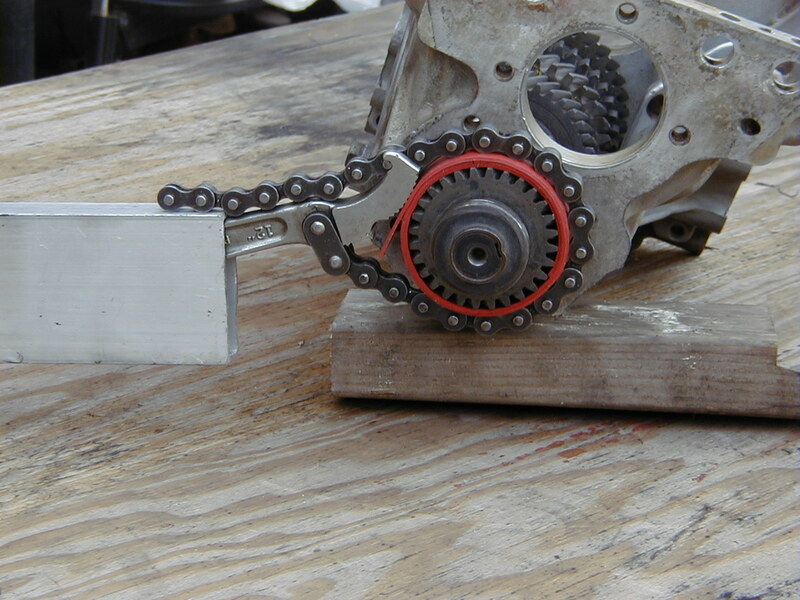 Heat from the early cars exhaust system would cook the plastic bushings in the mechanical shift linkage in short order. The result would be very sloppy linkage after only limited exposure to the heat. Thank you for sharing your ingenious ideas. "Need is a mother of all inventions"
2 yrs ago, I missed these tools on eBay. Somebody got them for a song. I have a rebuild toolkit that has all of the stuff you need to dismantle and rebuild a Citroen gearbox. 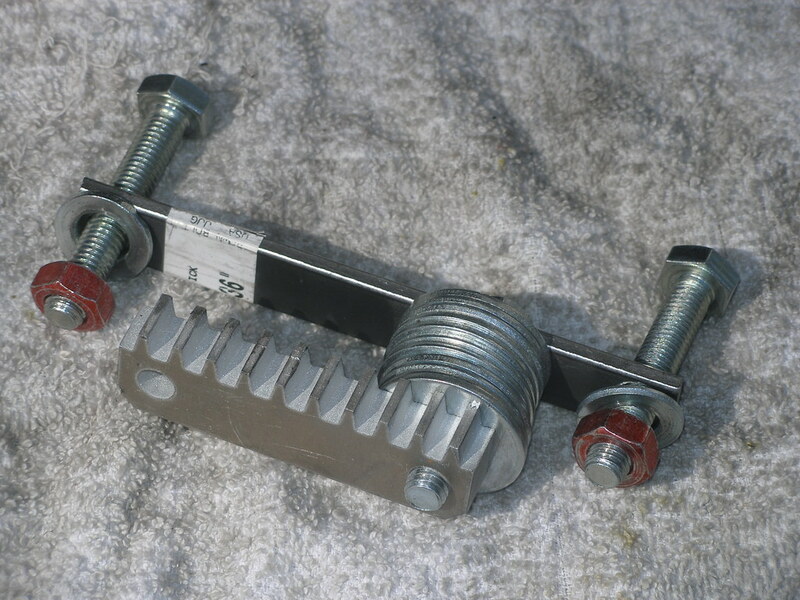 It included clamps for the bearing saddles, a CWP height tool, a socket for removing the speedo drive gear, plus various modified tools to make the job simpler. It also contains a selection of spacers, shims, circlips and other service parts (no bearings or gears) that you can use when rebuilding your box - just replace them with the good parts out of your box that you won't be using. I don't guarantee that every spacer or shim you need will be in the kit - you probably will need to order some of your own, but if you can use them - great! It has been sent around the country at least a dozen times and is available on request. All you pay is shipping both ways. I'm wondering, if you could share with us some other tricks in caring/rebuilding C35 transmission? I started this one because a thread dedicated to Citroen transmissions would definitely benefit earlier Esprit owners. There was a thread like this on (now defunct) Lotus Buzz, but no more. PS. THANK YOU RON for great pictures! including cost of reverse engineering, tooling made for the cutters, lappers, tester/proto and production set up, the cost would be $1,800 per set, not including taxes, shipping and insurance. As far as care goes, don't rush your shifts. That is probably the most important thing to remember. The gearbox is running at the top end of its spec in an Esprit, and hammering it with power shifts is the quick way to problems. They will last a good long time if you take that extra half second between gears. 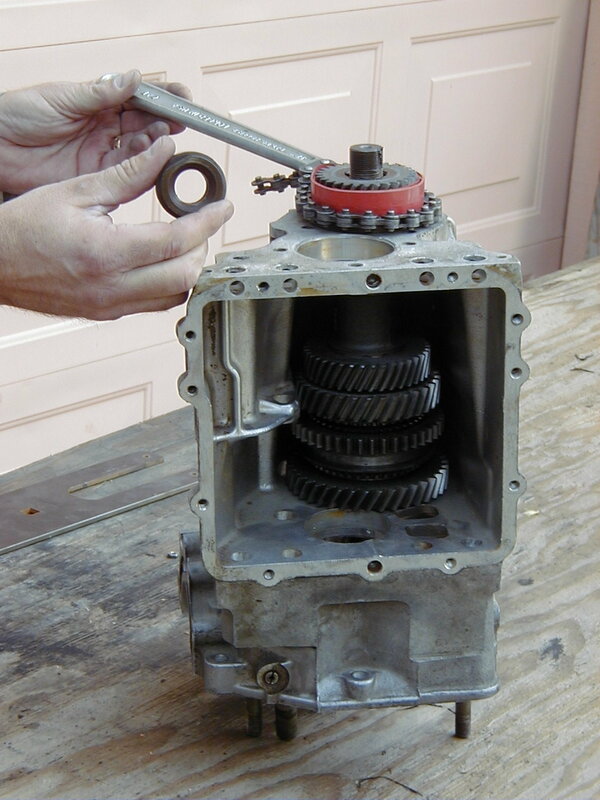 Rebuilding is a time consuming, futzy process that requires several disassembly/reassembly cycles of subcomponents - like setting up the preload on the differential and then adjusting crownwheel backlash once the pinion height has been set. Even with good measuring tools and a spreadsheet, you are looking at a minimum of 3 cycles to get everything dialed in. Having the proper tools helps a lot, but expect to place an extra order for an oddball shim or spacer, or running down to your local machine shop to have a thicker one ground down to what you need. It also makes all kinds of sense to replace bearings while you are in there, particularly if you suspect or find CWP damage. There are some quirks about them. For example, the bell housing is also half of the bearing race for the differential bearings. 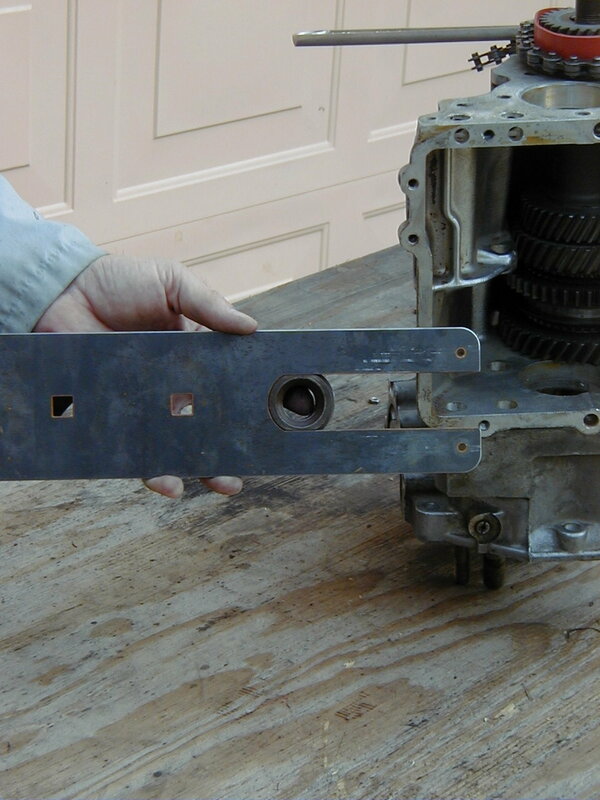 This means that the bell housing was machined with the rest of the gearbox case as a unit. So, you can't just swap the housings around, as the bearing races will most likely not be round. 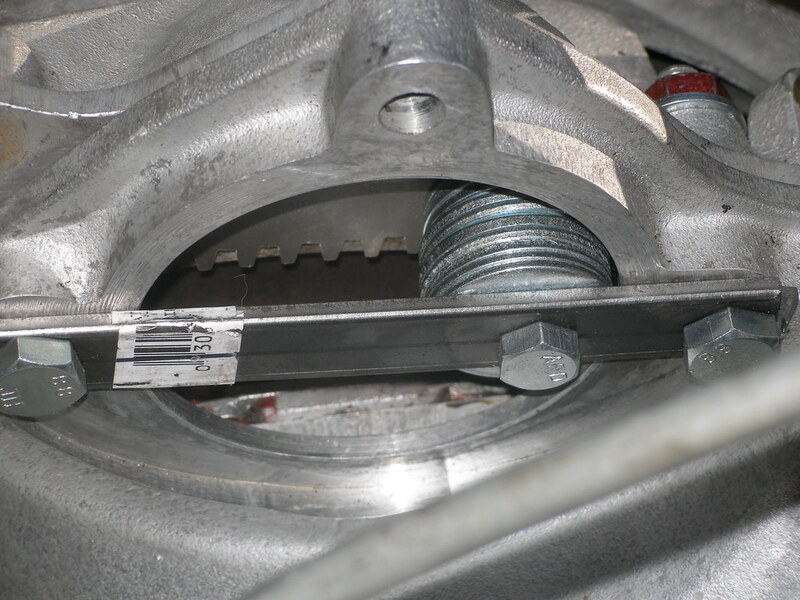 It is also impossible to determine if you have a buggered pinion with the shaft installed in the box. The teeth are arranged such that you just can't see the working face even with a mirror. If you are faced with replacing the CWP, it is very worthwhile to spend the time dialing in the proper pinion height and crownwheel backlash - getting these right has a direct correlation to future failure. $1,800 is a bit much for my budget for a potential need, but if the price comes down with a group buy I'd be in, as the true cost comparison is with a transaxle swap to a Renault or better alternative. Of course if/when it breaks (without taking out the case) 1,800 may look cheap after discounting the cost of another used backwards Citroen CWP. When I put in my LSD, I could see marks of a past failure, so it does have my attention! Dean Smith (medida lotus) has rebuild his C35 and Cryogenically treated them! Whilst you're there, check his supercharged engine ! Does anyone know the PN# for the pinion shaft bearing (it is an INA (Schaffler) roller bearing , I think)? The circular 'polish' marks to the right side of your picture are the result of crownwheel carrier bearing failure. @mike.griese is correct, the preload and backlash adjustments are REALLY finicky. I had my output shaft housings in & out more than 15 times (prob because that was my first time) getting the preload correct. And, that was using Mike's handy tool-set. After reading all this, it makes me want to build an electric/battery version of the esprit. So that the maximum torque will be applied at zero RPM? Replacing the input shaft circlip with the more robust one (at ~45K miles), and at the same time replacing the differential carrier bearings (again, with the more durable SKF or Timken bearings made today) goes a long way to prevent the common Citroen transmission issues. These repairs are no more involved than replacing a clutch. The trial-and-error preload adjustments commonly needed to be performed on the solid rear axles of older rear-wheel-drive cars too, so it's not reasonable to complain. That's how it was done 'back in the day'.